August is my birthday month and we have lots of new products added to our store. We also have a new FREE printable for you to download. This stylish Calendar in steel blue would look great in the home or at the office. Just download and print from home. 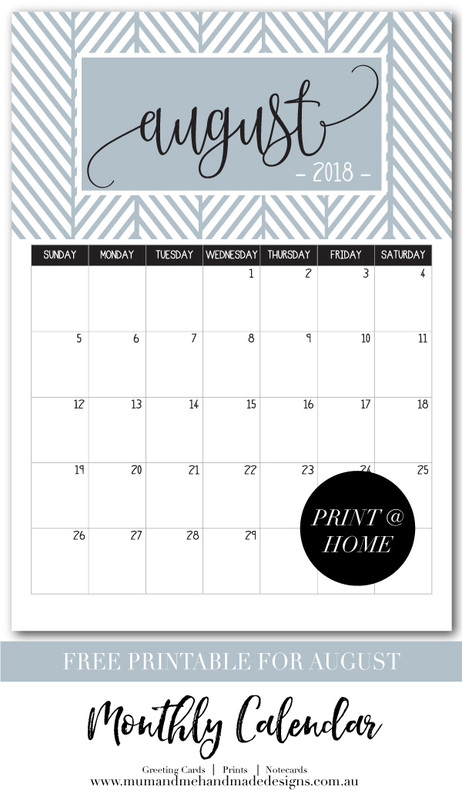 This printable is A4 size and great for keeping organised with all your upcoming events, birthdays, bills etc. Print it out and place on a clipboard or place on the fridge for everyone to see what's coming up. This print also looks great in your office and adds a little colour to your office space. 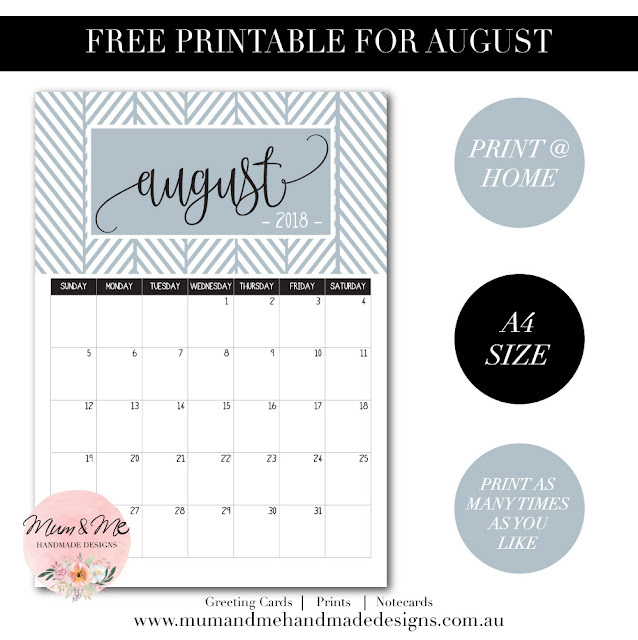 Click HERE to download your free August 2018 Monthly Calendar. Have a wonderful August everyone!